In June this year, the first generation of mountain guides from Eastern Europe will complete their IFMGA training. This brings thriving opportunities for both mountain guides in the area and clients willing to explore some of Europe’s less-visited mountain destinations. We spoke about this with Cosmin Andron, a 42-year-old mountain guide from Romania, who is leading the efforts to introduce the IFMGA in the region. 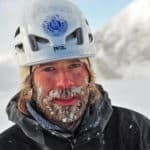 Since 2016, he manages the East European Mountain Guide Association (EEMGA), a program which gives access to aspiring guides from 20 countries to training under IFMGA standards. Being certified by IFMGA allows guides to practice their profession outside their home countries and provides them with liability insurance. The training for this first generation of mountain guides from Eastern Europe was possible thanks to a cooperation between the IFMGA, ENSA —the French National School of Ski and Alpinism—, the Austrian Mountain Guide Association and other alpine countries. “We are here today because they have helped us and supported us, we are very grateful”, says Cosmin. 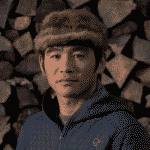 Most Eastern or Central European countries don’t have an IFMGA member association. 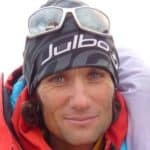 Only Slovenia, Poland, Czech Republic and Slovakia are formal IFMGA members and yet they are unable to organize training every year since they have a low number of candidates. “For small countries, training is not always sustainable and demands big expenses for associations and individuals”, Cosmin explains. The EEMGA enables all these countries to receive international training. Albania, Belarus, Bosnia and Herzegovina, Bulgaria, Croatia, Cyprus, Czech Republic, Georgia, Greece, Hungary, Kosovo, Macedonia, Moldova, Montenegro, Poland, Romania, Serbia, Slovakia, Slovenia, Turkey and Ukraine. Avalanche and ski module in Balea Lake, in the Fagara Mountains (Romania). Photo: EEMGA Facebook page. IFMGA winter course in Georgia. Photo: Kyriakos Rossidis. The IFMGA training is highly competitive and strict. Just to mention an example, out of 70 candidates from Eastern Europe who took the entry test, only 18 met the prerequisites and were able to continue. Currently, only 14 IFMGA Aspirant Mountain Guides will the final exam to become fully qualified IFMGA guides in June 2018 in Chamonix. The training program was held in different locations, from Chamonix (France), to Romania, Slovenia and Georgia. “We end up knowing the landscape and the specifics of many countries and it was culturally interesting”, Cosmin recalls. Besides, he considered ‘a privilege’ having instructors from different places: ‘there was diversity in the approach and an open spirit to different points of view’. The whole training was held in English, which is regarded as the most important foreign language to speak in. IFMGA Aspirant Mountain Guides from Eastern Europe. Photo: EEMGA Facebook page. What is the benefit of having IFMGA mountain guides in Eastern Europe? Giving aspiring guides access to an internationally-recognized training course is an opportunity to raise the standards in terms of professionalism and safety. It will also contribute to a better understanding of the mountain guide profession in the region. A multinational association like the EEMGA allows aspiring guides to join IFMGA training at a more accessible cost. “Running a training program for a small group is too expensive ―says Cosmin―. With more people in the program, the cost per participant is lower”. Rock and alpine module in Chamonix-Mont-Blanc. Photo: EEMGA Facebook page. Hiring an IFMGA mountain guide is a guarantee of professionalism, as it is the most prestigious certification for mountain guides around the globe. Being able to find IFMGA-certified guides in Eastern European countries opens the door to a whole array of travel destinations. [See below ‘Plan your next getaway in Eastern Europe’]. Local IFMGA guides provide insider knowledge of their countries along with a multidisciplinary training under rigorous international standards. For those in Eastern Europe, another big benefit resides in overcoming cultural and language barriers when traveling outside their home countries. ‘For some clients it is very important to communicate in the same language with the guide before and during the trip. It will be a great thing for clients to have access to certified mountain guides from their own nationality’, explains Cosmin. Having new certified mountain guides in Eastern Europe will boost the offer of outdoor activities in the different countries, and therefore contribute to a further development of touristic areas. As Cosmin says: ‘the market is expanding, new destinations are on the rise, there’ll be always work for everyone’. Winter training: ice climbing in Balea Lake, Romania. Photo: Iraklis Mossidis. Plan your next getaway in Eastern Europe! Some of the IFMGA Aspirant Mountain Guides from Eastern Europe that will be fully certified in June are already part of the Explore-Share platform and offer exciting trips in their home countries. Have you ever thought of Romania as your next ski touring destination? Mihnea, Cristina, Catrinel, Nicolae, Bogdan and Cosmin are amazing local experts. If you are seeking remote and wild slopes, the Romanian Carpathian Mountains are the perfect place to be! Or perhaps you are up for a rock climbing adventure in Greece. From the classic venues to the ultimate Greek climbing spot on the rise: Iraklis, Babis and Pavlos can take you anywhere! In Bulgaria, Georgy invites you to explore the mountains on skis. Go ski touring or snowshoeing in the Pirin or the Rila Mountains, there’s plenty of snow to enjoy! If you enjoy exploring under-the-radar destinations, there’s a lot going on in Eastern European countries. Need some inspiration? Take a look at Ilia‘s programs in Georgia and start dreaming of a ski touring or mountaineering adventure in the Caucasus region. Winter training in Gudauri, Georgi. Photo: Iraklis Mossidis. For sea lovers, the Eastern Mediterranean island of Cyprus makes an incredible destination all-year-round. Check out Kyriakos‘ programs in the island, which is slowly emerging as a spectacular rock climbing venue. It’s time for a new trip! Guides in Eastern Europe are waiting for you with fantastic itineraries to explore the outdoors. We thank Aspirant Mountain Guide / RMGA fully qualified Mountain Guide Cosmin Andron for his kind collaboration for this article.